Our full bar and friendly staff are here in Marietta, GA to serve you until 2 AM weekly, 3 AM on Saturday and midnight on Sunday. 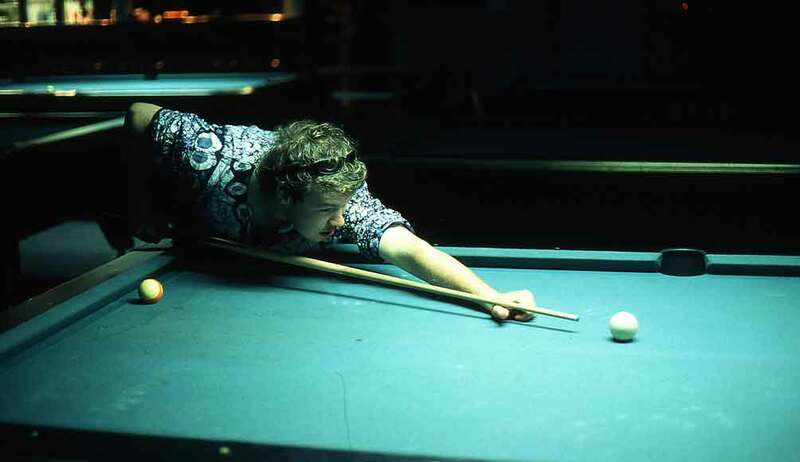 Pool Leagues are a great way to socialize and meet new people. 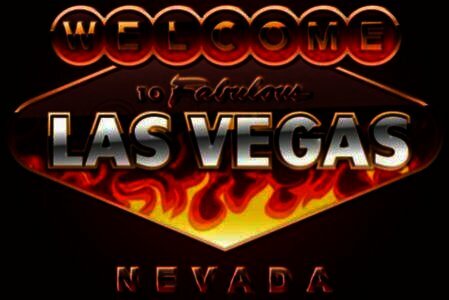 Every league member dreams of making the annual pilgrimage to Las Vegas where over $1.5 Million in prize money is awarded each year at the APA National Championships. Your meal at Cue’s is always cooked to order. House favorites include the Black Widow Sandwich, fried pickles and fried green beans. Our thick and meaty wings are never frozen. Our hearty daily lunch specials include seasoned curly fries and an ice-cold fountain drink. Every Thursday night we have martini and other drink specials for the ladies and free pool all night. All service industry personnel also receive free pool all night. 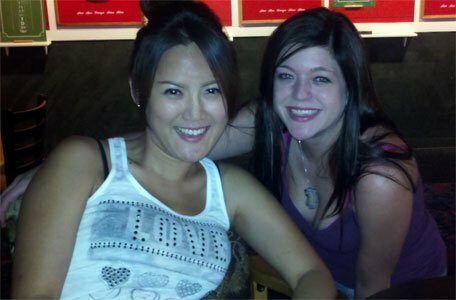 Come see us in Marietta for ladies and industry night – we’re open until 2:00 am. 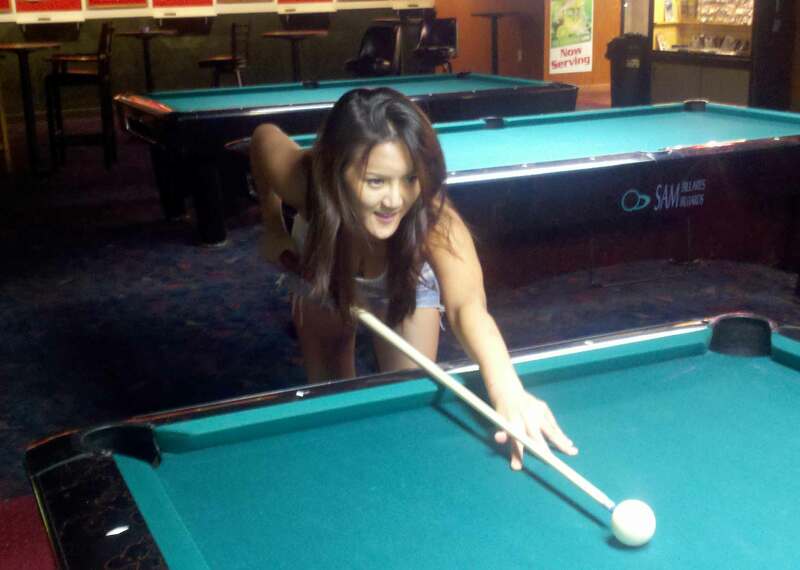 great way to have fun, meet people, and play pool. Texas Hold-em is always free to play. Check out the poker page for more info on prizes, times and dates. Our restaurant, pool room and bar is located in Marietta, GA just minutes off I-75. 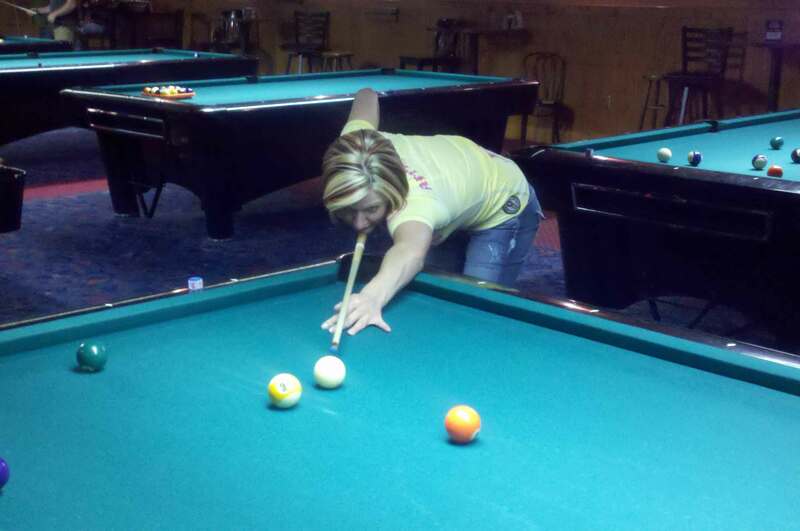 We have 24 regulation pool tables, a tournament dart section and activities scheduled throughout the week including free poker and handicapped pool and dart tournaments. Nothing from our kitchen is ever precooked: every item is prepared when it's ordered. Our chicken wings are never frozen. Southern favorites fried pickles and fried green beans are also on the menu. Our daily lunch specials are regular portions at unregular prices. 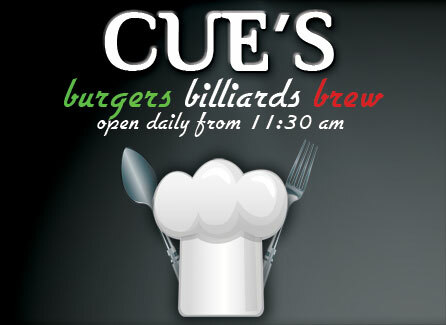 Cold beer, killer daily drink specials, a fully stocked bar and a friendly waitstaff are always on hand at Cue's in Marietta. Our bartenders serve until 2am weekly, 3am on Saturday and midnight Sunday.